Topping tech headlines on Tuesday, Samsung announced a new Chromebook and Chromebox, both of which coincide with Google's updates to Chrome OS. 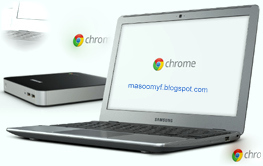 The Chromebook concept is familiar: an ultraportable notebook running Chrome OS, but the Chromebox is new. It's a mini PC running the Chrome OS for people who want some screen flexibility in their Chrome OS experience. In other news, the Samsung Galaxy S III made its debut overseas, but there's still no word on when the coveted smartphone will hit U.S. stores. The latest release in the Galaxy lineup is now on sale in Europe, the Middle East, and North Africa, Samsung said. The company plans to kick off a World Tour to show off the Galaxy S III as it's launched around the globe, but to start, the company has several pop-up stores in London.